Recently, Ram Charan took to his Facebook page and asked all​ his fans to bombard Sukumar with nonstop messages, requesting him to reveal the title of RC11. 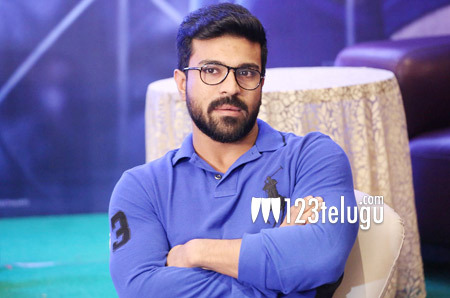 Just a while ago, Charan made the much-awaited announcement on his Facebook page. Charan said that the title of his film will be unveiled tomorrow morning and also asked his fans to be glued to his Facebook page between 9 am to 10 am. Charan will participate in the shooting of the film’s second schedule shortly. Samantha is the film’s leading lady and DSP is composing the music. Mythri Movie Makers banner is bankrolling the movie.